If you have read my article on the Touch Magic Learning Bus by LeapFrog, then you will know how much we love LeapFrog! 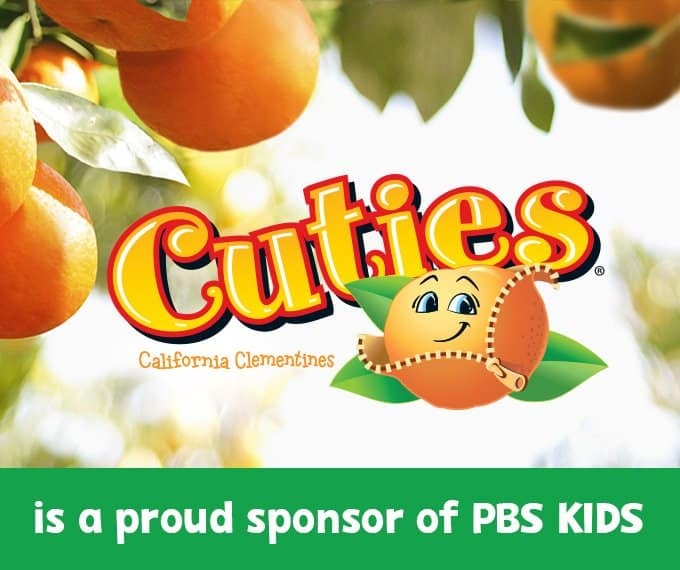 If you haven’t, then you should definitely check it out! LeapFrog recently released their new product line called Touch Magic and we are so impressed! Touch Magic brings intuitive touch technology to preschool toys for the first time combining fun, learning and creativity. 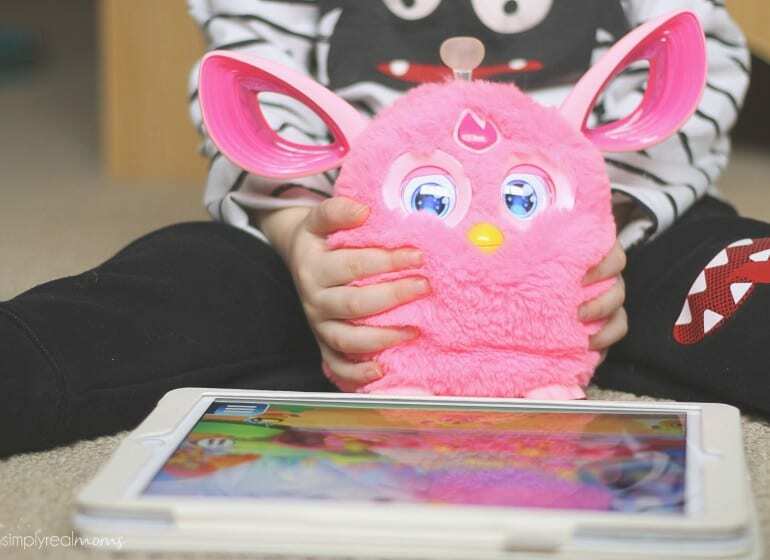 Touch Magic learning toys recognize every tap, touch and swipe to bring each product to life! The launch portfolio includes: Touch Magic Learning Bus, Touch Magic Rockin’ Guitar and Touch Magic Counting Train. We have been jammin’ with the Touch Magic Rockin’ Guitar for a few weeks and can not get enough! 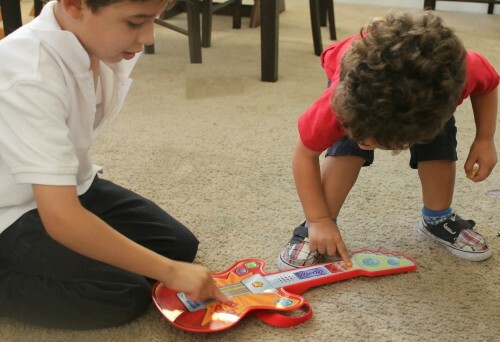 The Rockin’ Guitar amps up the learning fun while building motor skills. 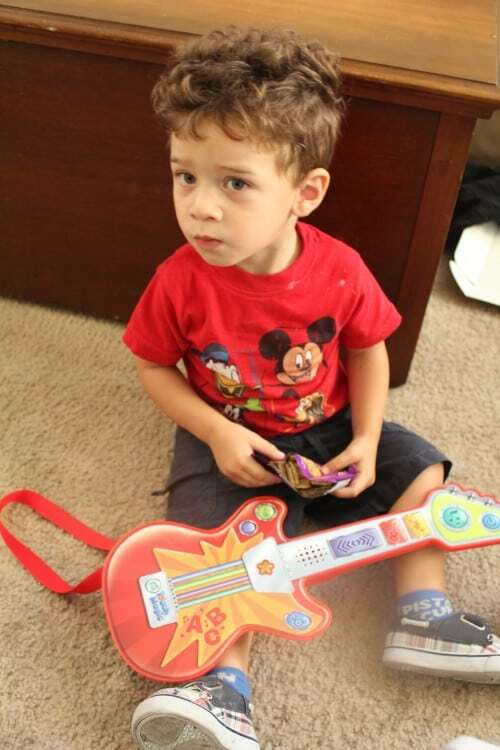 Our house has become more lively since my toddler has been playing with the Rockin’ Guitar! My six-year-old son and two-year-old son have created a band and every evening my toddler plays the guitar and my six-year-old does the vocals. This has not only helped my toddler with his social play, but it has built a stronger bond between my two boys. 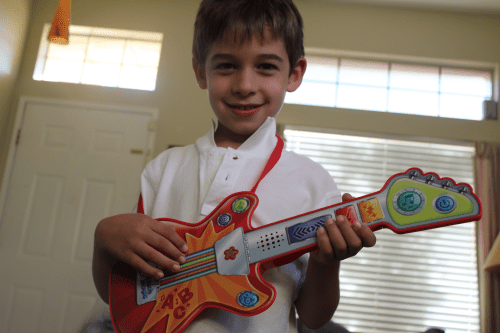 Right now until November 30, 2012, LeapFrog has a Rockin’ Guitar Contest going on. LeapFrog wants you to visit www.touchmagic.leapfrog.com and upload a video of your kids jamming and learning with Touch Magic Rockin’ Guitar or your own play guitar that you can create out of your own material. Then share your video on Facebook and email to promote it and have your friends and family vote on it. The five videos with the highest comsumer votes and LeapFrog panel votes will each have a chance to enter the $500 gift card! Check the video before posting— Can you hear yourself? Is the picture clear enough? To learn more about the Rockin’ Guitar Contest and view requirements and other details, please visit: www.touchmagic.leapfrog.com/leapfrogtouchmagic. To learn more about the new Touch Magic products, please visit their website at: www.leapfrog.com. You can also stay up-to-date by following them on Twitter and liking them on Facebook. That is super cute! We love Leapfrog products too!